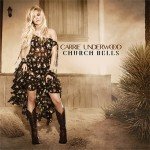 NASHVILLE, TN, March 30, 2016 – Seven-time GRAMMY® Award winner Carrie Underwood will debut her new single, “Church Bells,” with a television performance on the 51st Academy of Country Music Awards this Sunday, April 3 on CBS Television. Carrie is an eleven-time ACM Female Vocalist of the Year nominee and the first female artist to be twice named the Academy of Country Music’s Entertainer of the Year. She is currently performing in s old out arenas across the U.S. and Canada on The Storyteller Tour- Stories in the Round. Underwood recently returned from Europe where she headlined five shows in five different countries as part of Country 2 Country (C2C). Country Music News Blog participates in advertising programs that help fund the operation of this site. For more information please visit our privacy statement. This entry was posted in Carrie Underwood, Press Releases by admin. Bookmark the permalink.